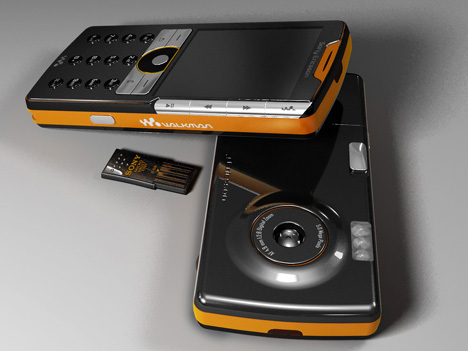 This is the innovative Sony Ericsson Walkman cellphone concept by industrial designers, Vincent Palicki. As what you see in the photo, the special feature of it is an integrated full-sized USB port, allowing users to transfer MP3s, datas, images as well as movies in more convenient way such as plug in a thumb drive. The slim candybar style concept phone design seems possible to be made today and fit right in the Sony Ericsson Walkman series. It’s definitely a cool and good concept.